Today is a pagan holiday called Imbolc and it marks the halfway point between the winter solstice and the spring equinox. With the arrival of spring on the horizon and the new moon on Monday this is an opportune time to start anew. Be honest – if you created New Year Resolutions are you still excited by them or have you lost motivation? If it’s the latter don’t worry, in a few days you have the opportunity to hit the reset button and begin again! Confession time. I didn’t set New Year Resolutions and I don’t plan on creating them ever again! Instead I live in sync with the moon. Each month the moon wanes and waxes moving through different phases. The New Moon is the first of the 8 moon cycles and is a time to get clear on what you wish to bring into your life. The full moon which takes place roughly 15 days later is a time to let go. As she rises in the sky, night after night, the Moon supports the continuous cycle of becoming and releasing. Becoming who were born to be and shedding the layers of who we’re not. A cycle that never ends. There is no starting line. No end in site. Women are not linear and just like the moon we go through phases, ebbing and flowing. 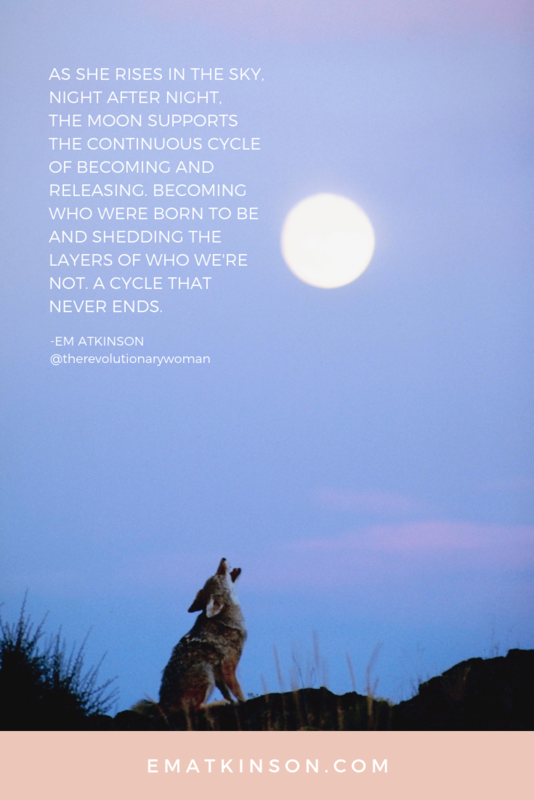 Living in sync with the moon supports the continuous cycle of becoming and releasing. Every month allowing us to step further it our truth and letting go of what no longer serves us. When we begin to live in sync with the moon we have the opportunity to begin again 12 times a year or every 29 ½ days. Personally, I find living in sync with the moon and my menstrual cycle a much more powerful way to live than setting resolutions one time a year. I’m not the same woman I was a month ago and I sure as hell won’t be the same woman a year from now! 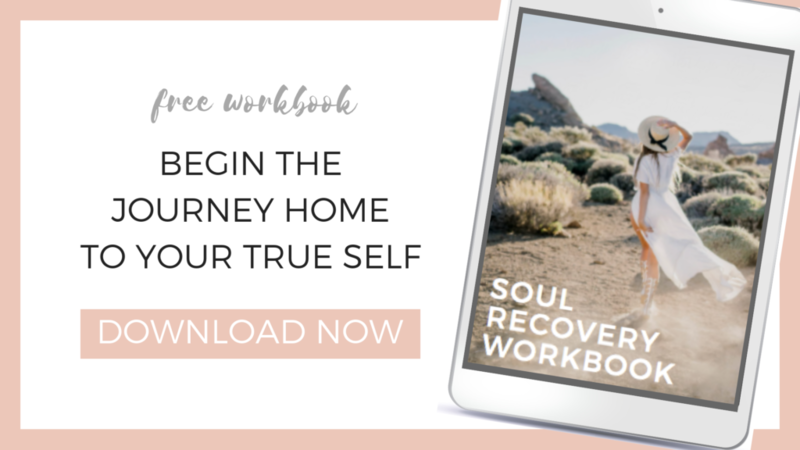 Even if you feel like you’ve “failed” (remember failure is just a part of the process) at your resolutions, the new moon offers the opportunity to press the reset button and begin again. And the next new moon is on Monday, January 4th. This weekend I would invite you to spend time getting clear on what you want to bring into your life. Even if you set resolutions a month ago what you desire may have changed. What would you like to bring into your life in the next month? Is this something YOU truly desire or is it a should? Who do you need to become to allow these desires into your life? If you’re looking for support and sisterhood on your journey join the Facebook Group – We RISE Sisterhood. If you’re interested in living in sync with the moon I co-host monthly moon circles in San Francisco. Click here for all details are here. And when you feel sad look into the night sky. That’s where you come from. You are the Universe, created by the stars to be divinely you. How beautiful is that?